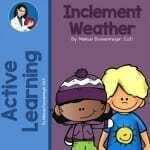 Resources for Rainy Days, Snow Days and Hot Weather Tips and Resources. The Kyrene School District is committed to protecting the health and safety of our students and staff. Kyrene provides various opportunities for outdoor physical activities before, during, and after school. These guidelines are meant to provide a decision-making structure to promote student and staff safety when local weather may be detrimental to their health. Photo of young boy with heat exhaustion.People suffer heat-related illness when the body’s temperature control system is overloaded. The body normally cools itself by sweating. But under some conditions, sweating just isn’t enough. In such cases, a person’s body temperature rises rapidly. Very high body temperatures may damage the brain or other vital organs. Several factors affect the body’s ability to cool itself during extremely hot weather. When the humidity is high, sweat will not evaporate as quickly, preventing the body from releasing heat quickly. Other conditions that can limit the ability to regulate temperature include old age, youth (age 0-4), obesity, fever, dehydration, heart disease, mental illness, poor circulation, sunburn, and prescription drug use and alcohol use. Heat stress is the overall effect of excessive heat on the human body. Prolonged exposure to high air temperatures or too high humidity at even more moderate temperatures may cause the body temperatures of people of all ages to rise and produce one or more of the signs of heat stress affecting the ability to learn, work, or even play. The U.S. Consumer Product Safety Commission CPSC wants you to be aware of the risk of thermal burns from playground equipment. You may remember the metal slides of your youth and how they could get very hot in the summer sun. But what you may not realize is that today’s newer materials, such as plastics and rubbers, also have the potential to become hot enough to burn a child’s skin.